By Britt Gillette 9 Comments - The content of this website often contains affiliate links and I may be compensated if you buy through those links (at no cost to you!). Learn more about how we make money. Last edited November 14, 2013 . Every October, the IRS announces changes to the rules that govern Individual Retirement Arrangements (IRAs). Because of the government shutdown, these changes were delayed by a couple of weeks this year. However, just because the government delayed its rollout of the new limits, don't think that gives you an excuse to put off your Roth IRA contributions. Be honest with yourself. 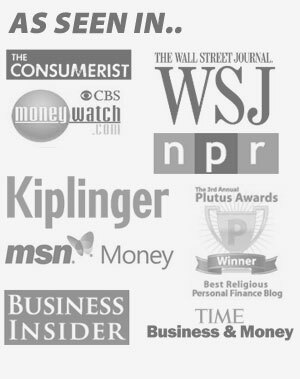 Have you maxed out your Roth IRA for the 2013 tax year? If not, you still have until April 15, 2014. If at all possible, you should make the maximum contribution for 2013 and start preparing to do so in 2014. Why? Because every year you wait costs you big money in retirement. For example, let's say you're 30 years old and your goal is to retire in 2048 at age 65. If you put off making a contribution in 2013 and 2014, then contribute $5,500 per year (the current maximum) at an 11% rate of return, you'll end up with $1,515,410.72 in 2048. But if you make the maximum contribution for 2013 and 2014 as well? You'll end up with $1,878,742.55. That's a difference of $363,331.83 – all because you saved $11,000 over the next 18 months! Every year you wait to start saving, you pay a high price for your procrastination. So do yourself a favor and commit to saving for your future today. Everyone can contribute, so don't make any excuses. Think you earn too little to contribute? Find a way to earn extra money or cut expenses. Think that's too hard? Is it harder than working 40+ hours a week in your 70's? Make it happen. Remember, unlike a 401k, Roth IRA contributions can be withdrawn tax-free and penalty-free at any age for any reason. This is why Suze Orman says a Roth IRA doubles as an emergency fund. On the flip side, think you earn too much to contribute to a Roth IRA? Think again. 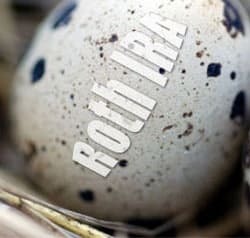 The Roth IRA conversion rules in 2014 are the same as the 2013 rules, meaning anyone can convert a 401k or a Traditional IRA to a Roth IRA regardless of income. In years past, the IRS barred high income earners from making Roth IRA conversions. But in 2010, Congress allowed the $100,000 income limit on Roth IRA conversions to disappear. It may reappear sometime in the future, but as of now, it looks like 2014 will be another year without the conversion income limit. So if you're a high income earner who's never taken the opportunity to make a Roth IRA contribution, take advantage now! However, if you choose to go this route, beware of the pitfalls. Seek the advice of a financial professional who can guide you through the process – especially if you’ve made Traditional IRA contributions in the past. The IRS doesn’t allow you to segregate your non-deductible and deductible Traditional IRA contributions when making a conversion. So if you currently have a Traditional IRA, odds are that you’ll owe taxes on a conversion. For 2014, the IRS increased the Roth IRA income limits in an effort to keep pace with inflation. The range for married couples moved from $178,000-$188,000 to $181,000-$191,000 while the range for singles changed from $112,000-$127,000 to $114,000-$129,000. On January 1st, millions of Americans will make New Year's resolutions to lose weight and contribute to their retirement accounts. They'll stay on the straight and narrow for a few weeks or months, then they'll go back to their bad habits. Don't be one of them. Get a head start. Commit to saving for your future today, before the excess Christmas shopping and end of year gatherings take a bite out of your budget! We bought a house this year so we didn’t really make many retirement contributions. Now that we’re finally done with the house stuff I just made a $3000 contribution to my Roth IRA, and hope to max it out by the time tax day comes. I’m glad I have all the way til April to max it out! Congratulations on the house purchase, it’s a shame you’ve missed out on maxing your IRA contributions though. It probably would’ve been worth it to wait on the house and continue to max out your IRA. Thanks for the reminder! I have been contributing small amounts all year, but I need to step it up to hit the max by next tax day. I wish I could just drop the max in the first of every year, but it would be a bit of a strain on us to do so. Pete – That’s great. I hope you can max it out! Tyler – Every little bit counts, so keep up the good work. Now is the best time to focus. Come January 1st, a lot of people will be focused on losing weight, making retirement contributions, and other new year’s resolutions. But a little extra discipline now – not eating as much or not spending so much – puts you in a stronger position to achieve your goals come January 1st. Annual Roth IRA Contributions should be taken seriously if you want a financially stable retirement life. It is an asset that you cannot afford to miss. It’s pretty nice that they give you until April to make contributions. I have not opened an IRA account and currently only contribute to my company’s 401k plan. When I have time to catch my breath (it’s been one crazy year) I will have to look into IRAs and see if it makes sense to start contributing. I have my retirement savings on autopilot as they are automatically deducting from my bank account on a monthly basis. This allows me not to think about putting my in every month. We make our contribution(s) when we file our taxes. We have $250 per pay for both of us ($500 total) deposited directly to a CU savings account; and from that, we make the contribution to our IRAs each year. (And the funds are with a CU that is NOT convenient, so the temptation to dip into targeted funds has never been a problem for us.) From this article, though, I think you advocate that make mini-contributions throughout the year (i.e., we redirect that autopilot process to send the funds directly to the IRA advisor)..? I’ve never wanted to do that because [a] it’s a headache to change the recipient should I change investment advisors — the timing could get off, [b] potential for over-payment should there be an extra payday in a year, and [c] potential for additional manual record-keeping should I change advisors, since I’d need to manually track how much went to each advisor. Am I thinking wrong..? Next Post: Motif Investing Offering Black Friday Deal – Free Trades! Open And Fund Your Account Today To Take Advantage!